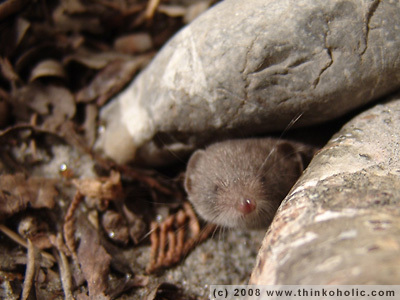 who needs easter bunnies when you’ve got a shrew? hiding eggs might turn out to be a problem, though: it’s so small, it easily fits into an egg. granted, it’s not a very sharp photo, but i thought it was a nice one. more photos are under way.